Diabetes is closely linked with a number of conditions that can impair vision, in particular, diabetic retinopathy. The good news is that identification and treatment of these eye problems is improving. For those affected by blindness or visual impairments, the range of support is also improving, with a range of tools, software and diabetes management aids for people with sight difficulties now available. 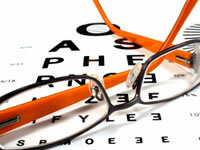 How diabetes can affect eyesight? The most common way in which diabetes affects eyes is diabetic retinopathy, which occurs when blood vessels in the retina are damaged. Diabetic retinopathy does not necessarily lead to sight loss and can be treated or slowed if caught before it develops too far. Diabetes can also worsen eye conditions such as cataracts and glaucoma. If you are partially sighted or blind, it can be well worth registering as having a sight impairment as it may entitle you to extra support and benefits. Your eye specialist, optometrist or ophthalmologist, will be able to let you know if you should be officially certified as partially sighted. Your optician can perform an eye test to confirm if you can register as partially sighted. JAWS screen reader from Freedom Scientific Inc and Windows Eyes screen reader from GW Micro Inc are recognised as two of the best screen readers on the market. However, these programs are not free and may therefore be out of the price range of some people. For free screen readers try the NVDA (NonVisual Desktop Access) screen reader from NV Access or Thunder screen reader from Communication For Blind People Ltd.
For Mac users there is Apple’s own VoiceOver screen reader. Magnifiers can help people with certain visual impairments to read books, letters, or reading and filling in blood glucose monitoring diaries. It’s recommended to get a magnifier that is only just stronger than you need. This is recommended as the more powerful the lens is, the fewer words one can read. Magnifying glasses, spectacle aids, binoculars and monoculars can all be used to help magnify every day items. Electronic visual aids are also available, such as SmartView pocket viewers from the HumanWare Group. Most browsers allow you to increase the magnification of text but there are also separate programs which can help. Windows has its own built in magnifier program, simply called Magnifier. It can be found under Programs then Accessories then Accessibility. For Mac users there is Apple’s Zoom and Apple also has a separate Cursor Magnification program. A number of alternative options, such as Desktop Zoom 3.5 and Magnifying Glass Pro, are also available, some of which will need to be purchased though. There is a small number of talking blood glucose meters on the market aimed specifically at people with sight difficulties. The Clever Chek meter from Simple Diagnostics is one, the Gluki Plus from Vis-Ability (DK) is another. There are also a number of injection aids which have been developed to help people with visual impairments. The Autoject 2 and Autopen are both pen injection aids both from Owen Mumford, and the NovoPen injection aid is available from Novo Nordisk. The Inject Ease from AmbiMed Inc is designed to make injections via syringes easier. If you have sight problems (excluding long or short sightedness or colour blindness) affecting one or more of your eyes, you need to inform the DVLA. You should also inform them if you have received any sight correction surgery. The same standards of vision apply to people with diabetes as they do with anyone else. You should be able to read a standard car number plate at 20.5 metres and have a field of vision of at least 120 degrees, each side, horizontally and 20 degrees, both up and down, in the vertical direction. The Royal National Institute of Blind People (RNIB) is a charity which provides support for blind and partially sighted people. With contributions from Diabetes Expert: Sue Marshall.